St. Paul mentions three sacrifices in 1 Corinthians 10:15-21 (see below). He compares the Sacrifice at the Mass with the sacrifice of the Jews and of the pagans. 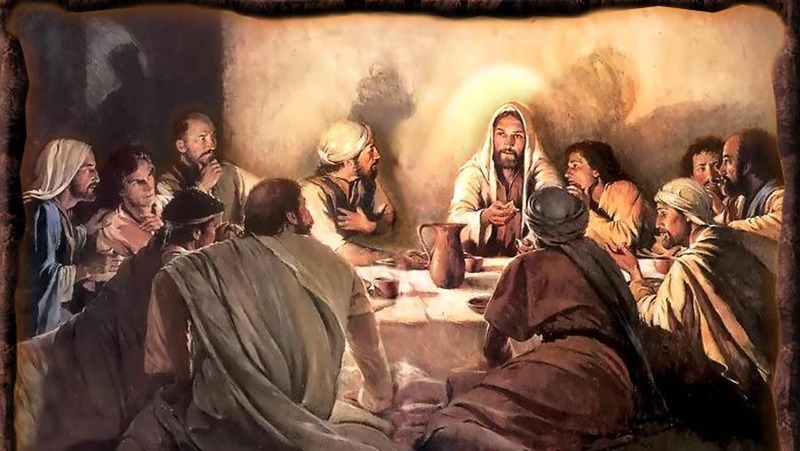 He even uses the phrase “table of the Lord” which is a technical term for an altar of sacrifice in the Old Testament (Malachi 1:7, 12). The Fathers of the Church all referred to Malachi 1:11 as an Old Testament prophecy of the future Eucharist which we now celebrate. Malachi says of the defiled Jewish sacrifice, “By offering polluted food upon my altar. And you say, ‘How have we polluted it?’ By thinking that the Lord’s table may be despised” (1:7). Then, referring to new upcoming sacrifice among the Gentiles, “For from the rising of the sun to its setting my name is great among the nations, and in every place incense is offered to my name, and a pure offering; for my name is great among the nations, says the Lord of hosts (1:11). “I speak as to sensible men; judge for yourselves what I say. The cup of blessing which we bless, is it not a participation in the blood of Christ? The bread which we break, is it not a participation in the body of Christ? Because there is one bread, we who are many are one body, for we all partake of the one bread. Three results (participation in the altar for Jews who eat the sacrificed meat, participation in demons for the pagans, and participation in the Body and Blood of Christ with Christians). Ignatius (martyred 107 AD) “Make certain, therefore, that you all observe one common Eucharist; for there is but one Body of our Lord Jesus Christ, and but one cup of union with His Blood, and one single altar of sacrifice?even as also there is but one bishop, with his clergy and my own fellow-servitors the deacons.